The creator of The Wall, the legendary band, Pink Floyd’s bass guitar player, major song writer and not last singer will visit Oslo in this August. Roger Waters has start his solo career in 1985, he released three albums, wrote an opera and he gave the most outstanding concert in the rock history in Berlin, after the Wall fall down in 1990. Of course, Roger Waters didn’t forget his past in the Pink Floyd. The proof is, his newest tour’s title is The Wall. This conception album was released in 1979, and both of the critics and fans agreed this is the most successful album in the band’s life. They played The Wall live 192 times across the World, more than 3.3 million people could see it and it became one of the most successful albums in the rock history. Now Roger Waters will brush up this legend, of course with acoustic music accompaniment and full technology visual and audio. The Wall was too monumental to make a real tour from it so far, which truly gives back this masterpiece’s spirit, but new arenas and the development of technics have solved this problem. Roger Waters refreshed the performance, not just the outside, but the spirit too. Be the part of this unbelievable visual and audio experience on 14 and 15 August 2013 in the Telenor Arena in Oslo. Have a good time! 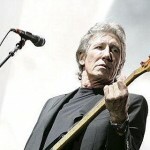 If you like Roger Waters you could consider checking out his concert in Budapest as well!